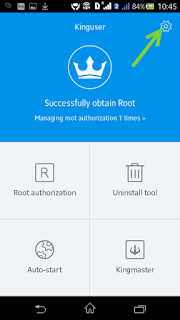 1) To get started, go to your Apps menu, click on the Kingroot app icon and open it up. 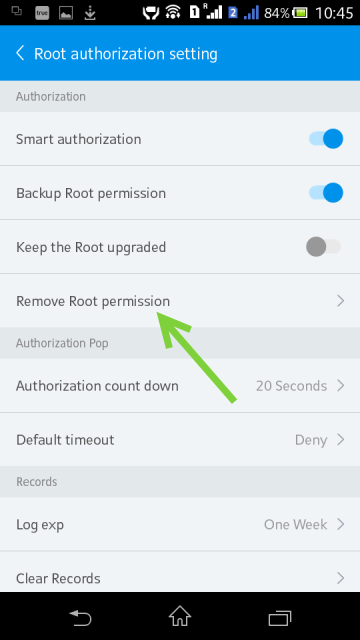 2) Once the app is launched, click on the “Settings” icon in the top right-hand corner of the screen to launch Kingroot settings. 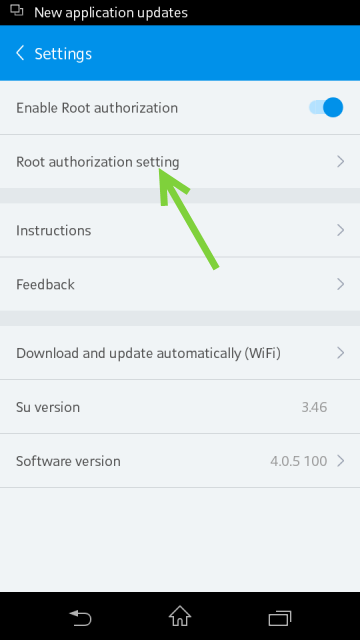 3) Now, in the KingUser general settings screen, click on “Root Authorization Setting” to launch up the settings screen. 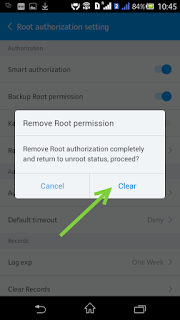 4) In the “Root Authorization Setting” click on [b}“Remove Root Permission” [b] option. 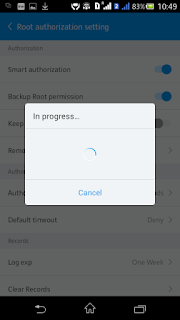 5) Now, a prompt will show up with the message “Remove Root Authorization completely and return to Unroot status, Proceed?“. 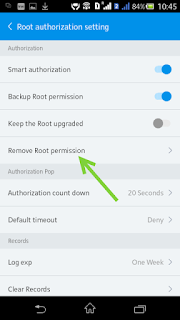 Click on “Clear” to begin the “Remove Root Permission” process. 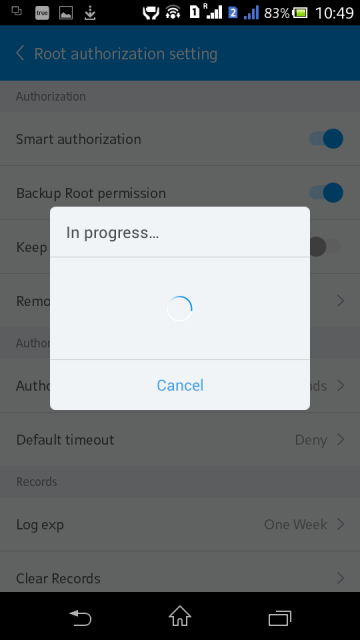 6) Once you click on “Clear“, you will see the “In Progress” message along with a progress circle as shown in the screenshot below. 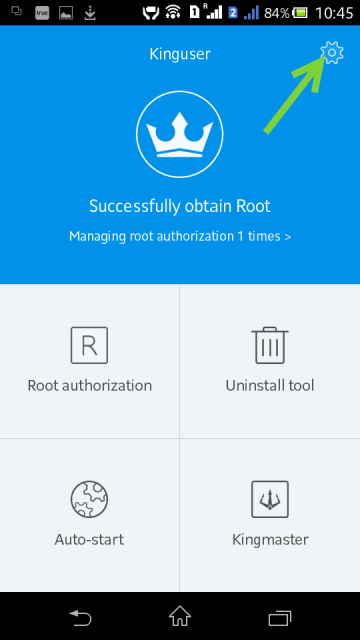 Once the progress prompt gets closed, the uninstall process of Kingroot will be successfully finished. 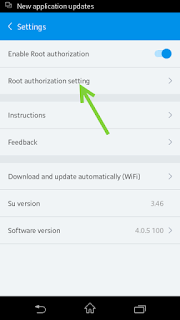 Also, you have successfully unrooted or removed root access from your Android smartphone or tablet.